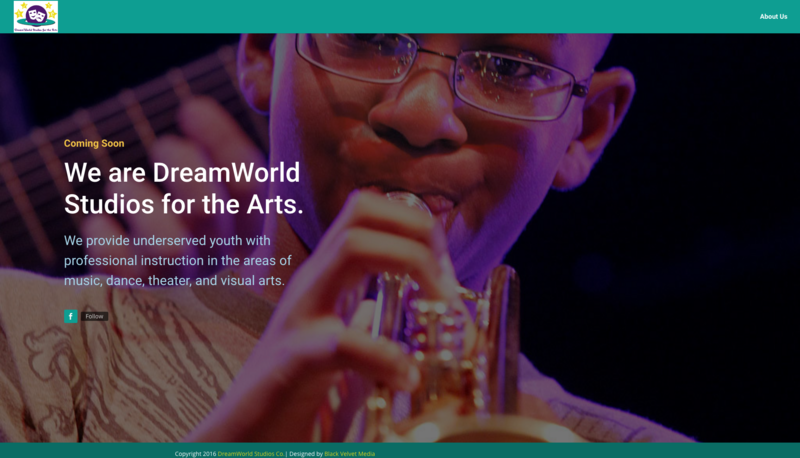 DreamWorld Studios for the Arts is a non-profit organization. Their mission is build a relationship between the arts and the community by providing underserved youth exposure to high quality experiences in the areas of dance, music, theater, and visual art. DreamWorld currently hosts Morning Dance Parties to promote healthy lifestyles and encourage social activity among youth. We are currently working on this website and will be launching it soon. In the meantime, we have designed a placeholder page that encourages visitors to follow DreamWorld Studios for the Arts on facebook. Check them out!